Established since 2012, Progress Jiu Jitsu are specialists in providing premium Brazilian Jiu Jitsu kimonos, no-gi training gear and apparel. Here at Fighters Market EU, we stock a range of Progress kimonos, Progress rash guards/Progress ranked rash guards, Progress shorts, Progress t-shirts, Progress hoodies, Progress BJJ belts and other Progress accessories, all of which boast a design influenced by a cool mix of BJJ history, British culture and Southern California's laid back vibes and Jiu Jitsu scene. 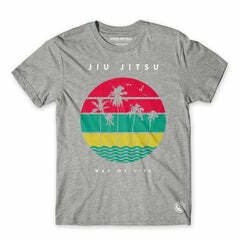 Browse through the Progress Jiu Jitsu items we have below.